Jellice Pioneer Private Limited Taiwan Branch (Singapore) is located in Pingtung, Taiwan. It is the only gelatin factory in Taiwan, and the largest fresh porcine & fish skin gelatin facility in Asia. Headquarter, Jellice Japan, was established in Sendai, Japan, 1941. 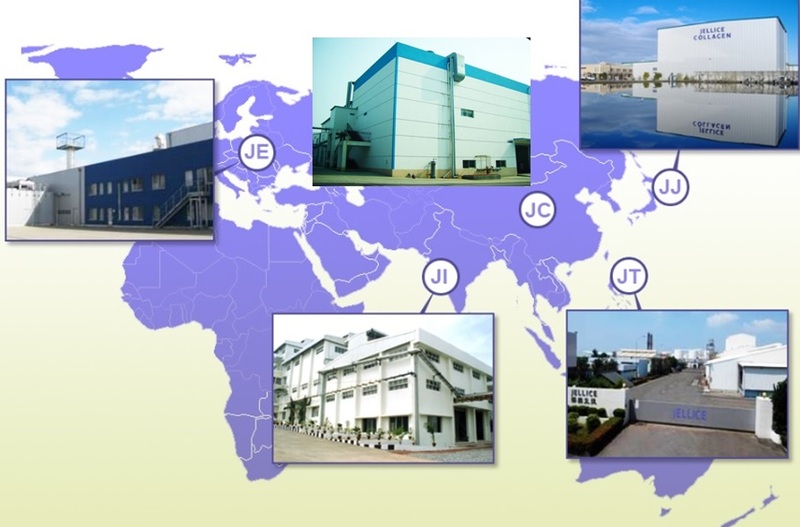 Altogether, there are 5 Jellice gelatin factories in the world with total capacity of 12,000 tons annually; JELLICE EUROPE in Emmen, Nederland (porcine skin), JELLICE CHINA in Shangdong, China (bovine skin), JELLICE INDIA in Cuddalore, India (bovine bone), JELLICE TAIWAN in Pingtung, Taiwan (porcine and fish skin). JELLICE is the Top 10 gelatin manufacturer in the world. JELLICE has a wide selection of products; gelatin (porcine, fish, bovine, poultry), collagen peptide (porcine, fish & poultry), specialty collagen (extra-white, low-Sodium, juice CP), collagen tri-peptide (HACP). We are able to customize and provide gelatin/collagen peptide from other origins such as shark or poultry gelatin and juice collagen peptide.